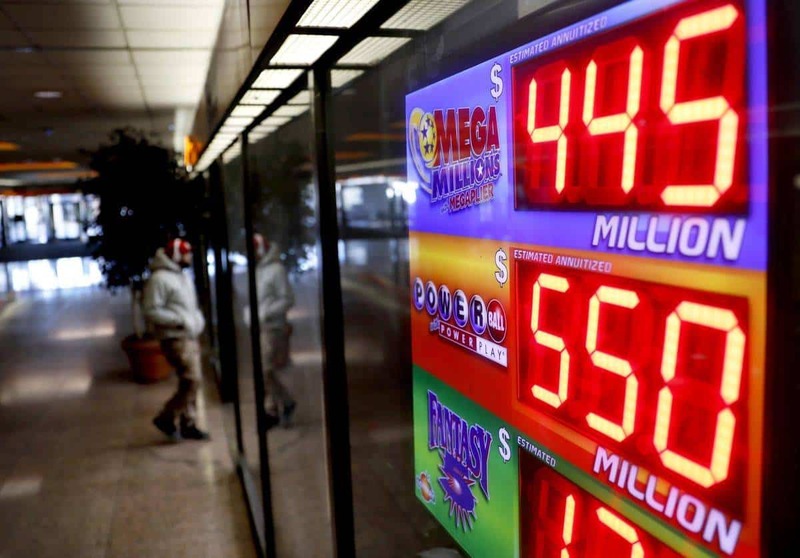 The nationwide Powerball Lottery Jackpot now stands at $550 million. The odds of winning the Powerball Jackpot are 1 in 292.2 million. With no winning tickets sold last Saturday night the current Powerball lottery jackpot has grown to an estimated $550 million US. It will be the 8th largest Powerball jackpot on record and the 10th largest of any US lottery. There were two ‘consolation prize’ tickets worth $1 million each sold but no ticket matched the six numbers drawn on Saturday night. The Powerball jackpot was last hit in the December 26, 2018 drawing. Last Saturday’s drawing was the 23 consecutive without a jackpot winner. Curiously, the overall tone of the mainstream media coverage of the Powerball jackpot would suggest that the 23 consecutive drawings without a winner is completely unprecedented. Not really. The ‘true odds’ of hitting the jackpot are easy to figure with the five white balls combining to form 11,238,513 possible combinations. Add the 26 ‘Powerball’ numbers and you’ve got 292,201,338 possible combinations. That means you’ve got a 1 in 292 million shot at winning the jackpot. The aforementioned $1 million ‘consolation prize’ offers odds that look reasonable by comparison at 1 in 11,688,053. Late last week I did an article discussing just how incredibly safe it is to fly on a commercial airline in light of the hysterical response of politicians and the media about the Boeing 737-MAX. The probability of dying in a crash considers a number of variables–route, airline, aircraft, weather and crew experience among others. At best, you’ve got a 1 in 20 million chance of dying in a crash. At worst, you’re talking 1 in 5 million. Most aviation experts throw around an ‘average’ probability of 1 in 11 million. Your odds of a fatal crash while a driver or passenger in a car is roughly 1 in 110. Even so, you don’t hear the masses freaking out over the danger of car travel. That’s because the genetic wiring of humans makes it more difficult for them to conceptualize the difference between an extremely unlikely occurrence and one that is far more realistic. The term for this is ‘risk perception’ and humans aren’t very good at it. Another way of looking at it–you’re nearly 300 times more likely to get mauled to death by bears than you are to win the lottery. For a previous lottery jackpot I chained together a series of unlikely events: you’re statistically much more likely to be stuck by lightning in the morning, bitten by a shark at lunch and hit by a meteor before dinner while hitting a golf hole in one in the afternoon than you are to winning the Powerball jackpot. WILL A JACKPOT WINNING POWERBALL TICKET BE DRAWN ON WEDNESDAY? HOW MANY JACKPOT WINNING POWERBALL TICKETS WILL BE DRAWN ON WEDNESDAY? TOTAL NUMBER OF TICKETS SOLD FOR WEDNESDAY’S POWERBALL DRAWING?